In a large pot, bring the cauliflower, onion, and milk to a boil. Cover and simmer for about 15 minutes. Drain well. In a food processor, purée the cauliflower with the butter until smooth. Season with salt and pepper. Keep warm. In a large non-stick skillet, soften the onion in 15 ml (1 tablespoon) of butter. Add the garlic and ginger and cook for 1 minute. Deglaze with the cider and bring to boil. Add the shrimp and cook, covered, for about 2 minutes or until the shrimp are cooked. With tongs, remove the shrimp from the skillet and keep warm on a plate. In the same skillet, add the remaining butter and chocolate and reduce until the sauce is slightly syrupy, about 1 minute. Adjust the seasoning. Serve with the mashed cauliflower. 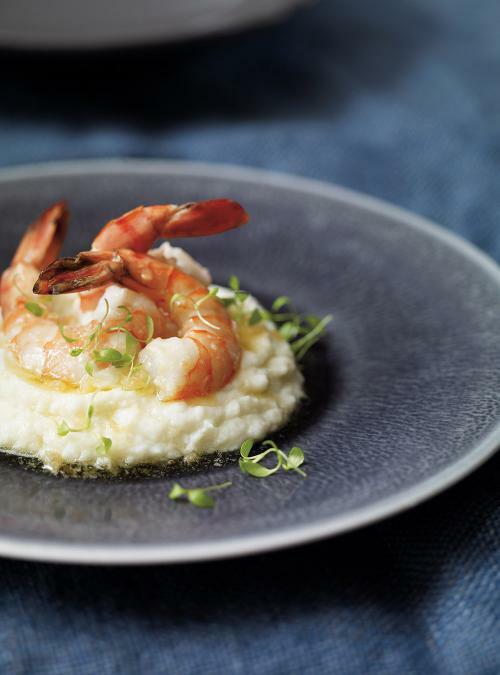 Serve the shrimp on the mashed cauliflower and top with the white chocolate sauce. Impressive flavors! What a nice surprise that this sweet harmony on our taste buds. 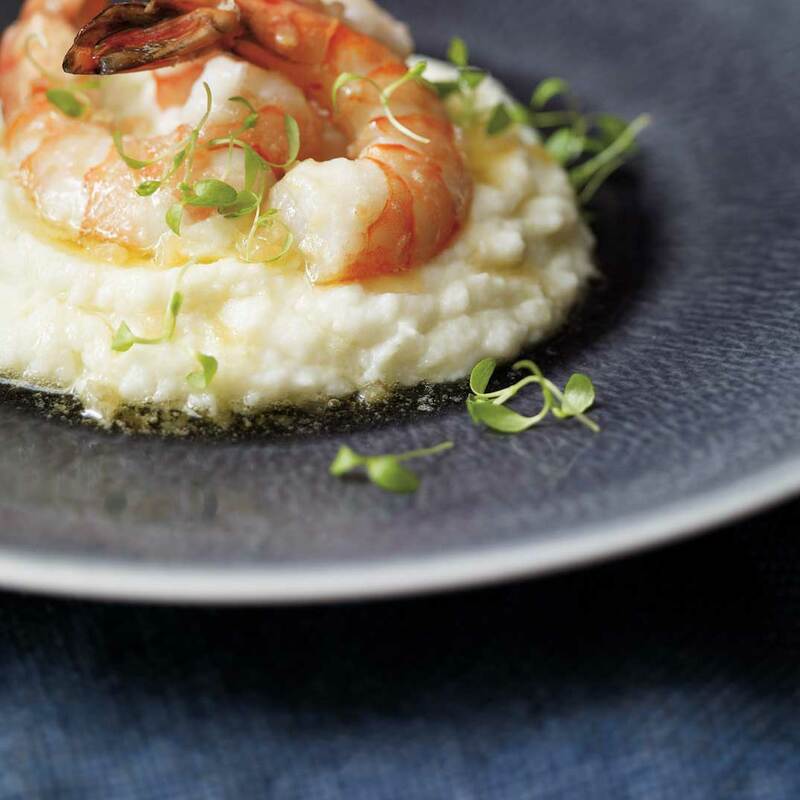 The enriched taste of the cauliflower and the sweet white chocolate sauce that coats the crispy shrimps! Succulent and divine! With Ricardo's recipes, my guests call me the chef ... but you're the real Chef of all our tables. Thank you!